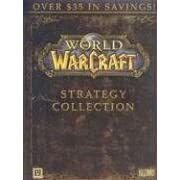 BradyGames’ World of Warcraft Dungeon Companion features masterful strategy compiled from a crew of some of the most experienced players in the game, where their tried and successful tactics are sure to guide players through even the darkest pits of Azeroth. Every Dungeon: Low-level instances and the toughest raid dungeons are all covered in this monstrous compendium. Light is shed on everything from Ragefire Chasm to Ahn’ Qiraj. Outdoor World Boss Encounters: Learn exactly what you need to take down Azuregos, Lord Kazzak, and the Dragons of Nightmare. Much more: Monster Information, Quest Guidance, Rewards, and Secret Rooms. Platform: PC CD-ROM Genre: MMORPG This product is available for sale worldwide. 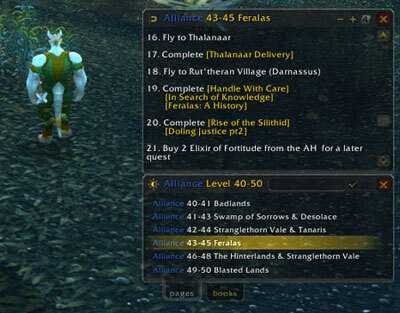 BradyGames’ World of Warcraft Bestiary includes the following: Statistical information on the denizens of the World of Warcraft Universe-including HPS, Armor, Damage, Resistances, and Abilities. Over 6,000 monsters filtered through over 2,000 categories. Every entry will be indexed for ease of use. World of Warcraft has over 9 million subscribers worldwide. Platform: PC Genre: Role-Playing GameThis product is available for sale worldwide.